In a significant judgement dated 30th May 2013, the Company Law Board (CLB), Mumbai Bench has set aside the issue & allotment of 26,64,000 shares under Employee Stock Options Plan (ESOPs) by Man Industries (India) Ltd. 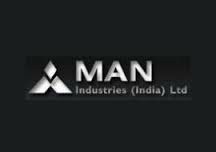 The CLB has also allowed the petitioner Mr J C Mansukhani, Promoter, Shareholder & Director of Man Industries to convene an Extra Ordinary General Meeting (EOGM) of its shareholders to discuss various issues related to mismanagement and misappropriation by Mr R C Mansukhani, the company’s Chairman. The shares issued through ESOPs amount to 5% of the company’s total paid up equity capital. The CLB order states that, “It is apparent from the careful perusal of the chain of events which have taken place immediately after filing petition relating to the allotment of 26,64,000 equity shares to Respondent no 16 (a) to 16 (c ) that the decisions taken in undue haste. Admittedly, the decisions to come out with ESOS/ESOPS was taken in the month of September 2008, however until 05/09/2012 nothing happened and no steps were taken. It appears that company started taking steps only in September 2012 and immediately after filing petition, this decision was implemented. Therefore, there are reasons to believe that after having come to know about the preparation and filing of the present petition by the petitioners the respondents started taking action and immediately after noticing the mistake in the proceedings dated 11/10/2012, they took undue advantage thereof and implemented their decision. The aforesaid facts give strength and support to the allegations made by the petitioners that was all deliberate and intentional move. It has not been disputed that on account of issuance of 26, 64,000 equity shares in the manner aforesaid the shareholding of petitioner has been reduced to 24.50% from 28.83% and the shareholding of the R1 has correspondingly increased from 35.23% to 38.13%. There are reasons to believe that the respondents no 16 (a) to 16 (c ) are the persons who are close to R1 and exercising the rights of vote by them in favour of R1 can not be ruled out. I am therefore, of the opinion that the said allotment of shares is not only in violation of the court’s order but also has been made for the sole purpose to increase the shareholding of the R1 and to decrease the shareholding of the Petitioners in order to gain control in the affairs of the company. In view of above findings, the said allotment of 26, 64,000 equity shares in favour of R 16 (a) to 16 (c) are liable to be set aside. Having held that the said allotment of the shares is in violation of the court’s order and the motive was also malafide and thus liable to be set aside, the next question arises for my consideration is as to what order is required to be passed to secure end of justice. In my considered opinion, the setting aside of the allotment of shares in favour of R-16 (a) to R 16 (c ) and further making status quo ante as it existed prior to filing the petition on 11/10/2012 will be just, proper and fair and by doing so the substantial justice will be done between the parties. Pursuant to above verdict, the Company was required to convene the Extra-Ordinary General Meeting by 12th June, 2013. In view of the failure of the Board of Directors of the Company to convene the EOGM within the stipulated time period as mentioned above, J C Mansukhani has initiated actions to convene and hold the EOGM on Thursday, July 25, 2013 in accordance with the provisions of the Section 169 of the Companies Act, 1956. The EOGM Notice can be viewed on www.jcmangroup.com. J C Mansukhani has also given an offer to Mr. R C Mansukhani & Group to buy their shares as directed by Company Law Board in its Judgement of 30th May 2013. J C Mansukhani further states that Mr. R C Mansukhani has adopted unfair means by misusing the platform of BSE and NSE website to communicate with the innocent shareholders and thereby misguide and mislead them with false announcements under pretext of “Outcome of Board Meeting” to put hurdle in the smooth convening of EOGM. This also amounts to contempt of Court order by the Company. J C Mansukhani has complained to SEBI to protect the right of minority shareholders and take strong action against these malicious activities of Chairman and compliance officer.